UPDATE: Watch a video tutorial here on How to decorate a Messy Ruffles Buttercream Cake! I heart rainbows… so much so that I have an entire Pinterest board dedicated to them. 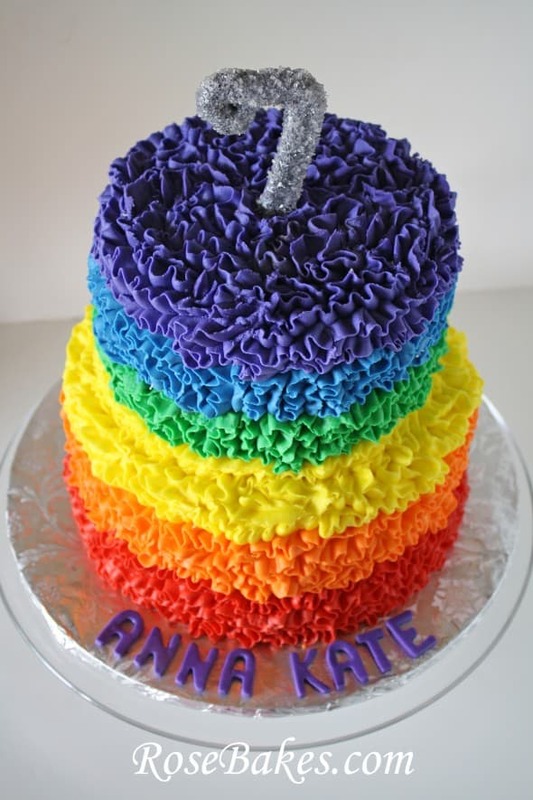 So when I was asked to do another Messy Buttercream Ruffles cake – except with rainbow colors – I was super excited! This new cake was for the daughter of the birthday girl that received the first messy ruffles cake (the one with peacock colors) . 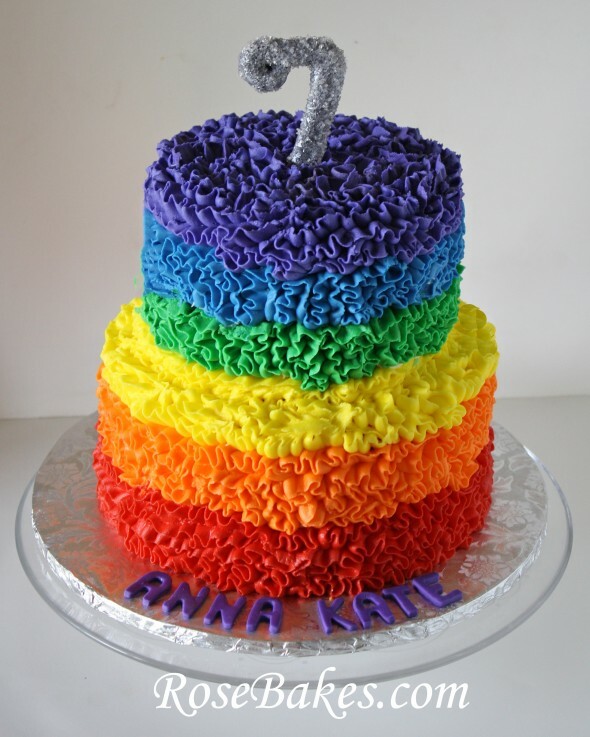 And although I don’t have pictures to share, I have to also tell you that it was bright rainbow colored on the inside too – sort of like this zebra/rainbow cake! 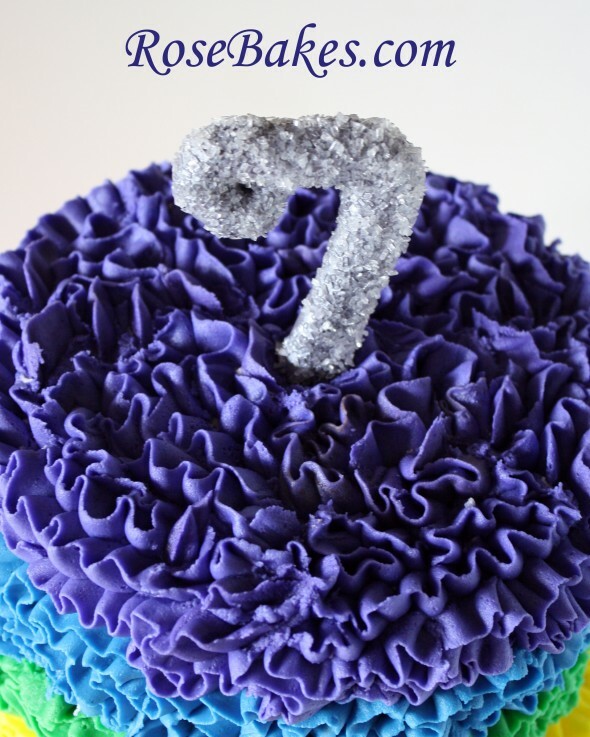 For the “7” on this cake, I made the number from gum paste and let it dry, then painted it with edible silver gel/paint, then I dipped it in white sparkling sugar while it was still wet ! I love the way it turned out! For the letters, I used this alphabet set. This cake was rainbow vanilla cake (see how to do rainbow cake here) with vanilla buttercream filling and frosting! I used a Wilton #104 (Petal) Tip to do all the ruffles! Love it! I am dying to do a messy ruffles cake sometime soon. Do you go around the circumference of the cake with the tip? Or vertically? Here’s a video tutorial I just posted: https://rosebakes.com/messy-ruffles-cake-decorating-video-tutorial/. Gorgeous cake! I’m a huge fan of rainbow themed items too. They are just so bright and fun! It’s beautiful Rose! I can’t decorate cakes, so I cheat. I’m visiting from Michelle’s Tasty Creation linky party. 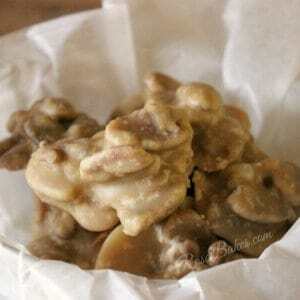 I would love it if you stopped by my blog. oh my goodness, this is an outstanding cake! I’m going to have to give it a try. 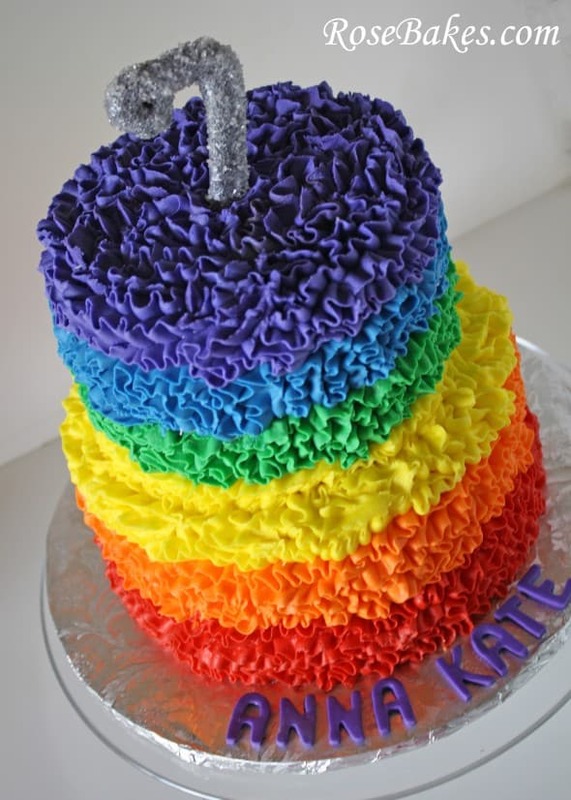 I’ve seen some mess of ruffle cakes, but your rainbow cake is awesome! What gel colors did you use for this? Americolor Super Red, Orange, Lemon Yellow, Leaf Green, Royal Blue, and Violet! Did you use a white buttercream for your crumb coating on the cakes? Usually!! If the cake happens to be all one color and I’ve already made the frosting, then I’ll use a matching frosting.